Vremaja Idama is an Intaki spiritual leader and advocate, one of the few Idama to be involved with the pod pilot community. The title “Idama”, meaning “most holy”, is given to individuals who have undergone the process of Rebirth multiple times without modern technological aid. In YC108, Vremaja made waves by announcing his wedding to Vika Kuvakei, Caldari Deteis daughter of a Lai Dai scientist and patriot. About the same time, he took up a lecturer post at the University of Caille in History, Philosophy and Politics. Barely two months later, he resigned this position and shortly after made a return to Intaki V where he currently remains. During his transport from Bourynes to Intaki it was revealed that a contract on Vremaja’s life had been issued to Mordu’s Legion. While no one was harmed in the resulting encounter, the origin and reason for the contract remain a mystery. He was an influence in organizing the Placid Summit, a meeting of Intaki and Intaki-based capsuleer organizations to try and work out the differences between pro-Federation and pro-secessionist groups. I wish to announce to you that I have arrived safely in Intaki. I am now standing in station, looking out over my beloved homeworld of Intaki V. It has been many years since I last saw this world, but its pull on my heart is strong. Intaki V is a jewel among planets. It is tropical and filled with diverse lifeforms. We have lived and grown on this planet for time beyond measure. I was born in the town of Asaya, sitting at the base of the Akat mountain range. These mountains mark the southern end of the habitable region of the north pole. My town was hidden from the harsh sunlight in the deep valleys that intersect the mountain range. Intaki V is a very hot world, and both polar regions were once thick with tropical forests. The equatorial oceans are exceedingly hot, and few living things survive around the equator. The rich and varied life of Intaki V has been confined to the polar regions, and in constant struggle for land, food, and shelter from the environment. This is important—for our very culture was developed here, on a planet in a constant state of competition for limited resources. We came to realize that the universe is a harsh place, and people need to survive. We never reached the heights of technology that, say, the Gallente or Caldari did, but we developed a culture able to deal easily with great stress and uncertainty. We learned that the best way to survive was to work with the environment, not to fight it. This is reflected by our architecture and constructions, which are usually made of natural substances such as wood and stone, or made to emulate their form. This design philosophy has actually proven quite popular in the Federation. We are considered by outsiders to be a quiet, reserved and thoughtful people. The unwritten laws, or customs, of the Intaki give rise to these impressions. We tend to think before we speak, preferring to give a concise statement rather than half formed thoughts. When someone is involved in a task we prefer to let them acknowledge our presence rather than interrupting. We also tend to look at problems in a more holistic way, considering all things connected. Much of this is crystallized in our philosophy, or as others call it, “the Intaki Faith”. We simply call it Ida—the literal translation is “to consider”, and is a good description of the Intaki. Some try to belittle us by calling it “the path of least resistance”, although that is a good description! We who follow the Way aim to live a life of moderation, not succumbing to the extremes of self-indulgence, or self-denial. Ida is a way of living. We do not have any beliefs in a heaven or hell, and do not take any writing or saying as “truth”. Ida is a path, but Intaki are expected to walk it themselves. One core tenet is that all things are in a cycle. Death leads to rebirth. A solution only leads to more problems. We know that the “soul” or “spirit” is eternal and will be reborn many times to learn new lessons, and once it fully understands the cycle it may finally move on. The Reborn are an important part of this. These were people who had reached a level of understanding that they may choose to be liberated, but choose to remain and teach others. In earlier times there were many tests and rituals to ensure that a soul had indeed been reborn, and through mental discipline and training these Reborn were able to continue their life work over many lifetimes. These rare people were given the title of Idama. In modern times, with the assistance of technology, the rebirth process has been made more certain. 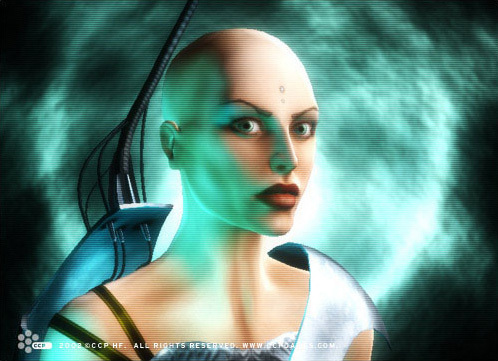 In fact many of the techniques and experiences of the Reborn have assisted the development and perfection of psyche restoration and cloning. But even today the status of Idama is still reserved for those who have been reborn without assistance. We have become a people of Diaspora—and while many of our ways have remained, many have changed. The Way is still followed by many individuals, but as a whole we are now a minor group in the New Eden Cluster. I would hope that we shall soon see a resurgence of the Way, in the hope that our teachings of peace and moderation be taken to heart by many who do not see the danger in their words. Tonight has shown one thing. Together the various peoples of the New Eden Cluster can achieve great things. This is but a hint of the things we could do in the future. I would ask that all people work together in harmony—as violence will never give rise to peace and happiness. There are approximately 500 Idamas recognized by the Center on Intaki V. But there are many more Reborn. There is little difference between the Reborn and an Idama, just that the Idama have been able to incarnate over many lifetimes from before the times of cloning and technological assistance. The “ability” is not one of genetics, but one of mental and spiritual discipline and practice. But I have not heard of any “new” Idama in the last hundred or so years. Most of us originated from before the perfection of cloning technology. Many today find that cloning is an “easier” way to live longer. I am one of the older Idama, from before contact with the Gallente. But I am in the vast minority now. Vremaja Idama > We were afraid of those “in power”. Vremaja Idama > Fear is not a way to run any civilization. It breeds distrust and rebellion. Jon Engel > I think fear is propagating itself among our people again. Jon Engel > Was violence threatened by those in power to the Intaki? Vremaja Idama > Never threatened openly. But when our fellow Federation citizens were bombarded, it was not a huge leap of reasoning to believe that any others expressing rebellious attitudes would be similarly dealt with. Weather it was true or not I don’t know. Vremaja Idama > Some left. Vremaja Idama > Others became politicians. * Pytria Le’Danness bows > Welcome everyone, and I’m honored that the Idama visits us again. Jon Engel > Perhaps a lecture on that aspect of Federation history would be a fruitful. Jon Engel > The history books are rather vague on Intaki history and especially during the Caldari war. Helpdesk > Good day Miss Le’Danness. Vremaja Idama > The important lessons of that age were: Secrecy and distrust lead to violence and rebellion. Jon Engel > I think things must be done to stop it from happening again. Vremaja Idama > Once more people look to the differences, not to what we have in common. As I have said before, I believe that the best road to prosperity for the Intaki people as a whole is within the Federation. Standing alone, we would be a very small fish in a very large pond. 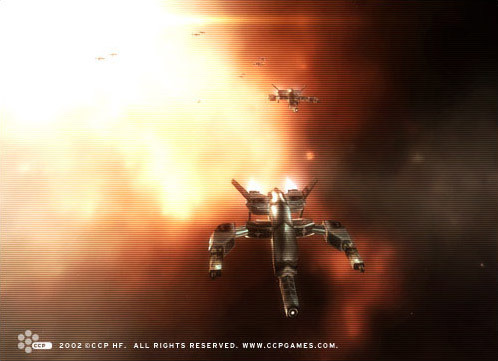 We don’t have the advantage of many years of military buildup that the Caldari had at the time of their breakaway. The Intaki of Placid do not even have a standing navy. The Caldari, for all their good qualities, are quite bound by their own culture, and do not take readily to outsiders within their borders. The Minmatar Republic can barely retain its own people who flock to the Federation, and the Amarr. I won’t even start on how they would treat us. The Intaki Movement, Part 3 (Evening with an Idama) – Interview of Vremaja Idama by a capsuleer reporter. Daring Theft in Outer Ring Leaves Officials Baffled – Vika Kuvakei accused of orchestrating the theft; she and Vremaja Idama wanted for questioning. The Intaki Liberation Front has an established chain of command. This allows the corporation to maintain organization and the ranks within the chain provide structure. Ranks are Intaki in origin to promote and maintain our cultural heritage. Sanika is the Intaki Liberation Front’s security division and is managed by the Isha-Sainika (Leader of Security). Sainika members are battle-honed warriors dedicated to the protection of the Intaki sovereignty. They stand together against a tide of crime and corruption by destroying Serpentis pirates and combating capsuleer outlaws. Karna is the Intaki Liberation Front’s special forces division and is managed by the Isha-Karna (Leader of Special Forces). These individuals are elite pilots who specialize in making pirates’ lives miserable via sneaky ways. They complete special training which enables them to provide support via covert ops, reconnaissance, and EWAR. The Caldari State, with its mega-corporations and millions of smaller companies forming the fabric of society, hasn’t always posed as a united front as it does today. Several times in its history since the State was birthed following its break from the Gallente Federation, rival factions and companies have clashed, often with deadly intent. Most of the time, the cause of conflict is of an economical nature, but every now and then ideology or political differences are the cause. ILF is not for alt-warehousing. Members are expected to be active and enthusiastic about contributing to corp mandates and projects. Members must understand and agree to adhere at all times to our corporation credo. Five hundred years ago the Intaki people lived a simple life on their home planet. For them the sky was a mystery they were only slowly unfolding with their pre-industrial technology. Then the Gallente arrived and swept them into the modern age in one swift stroke. The Intaki, initially overwhelmed, adapted quickly and within a century they had seasoned space travelers and active members of the Gallente governing body. They soon established their reputation as fair-minded humanists that excelled as deft negotiators and clever businessmen, fitting perfectly into the Gallentean way of life.